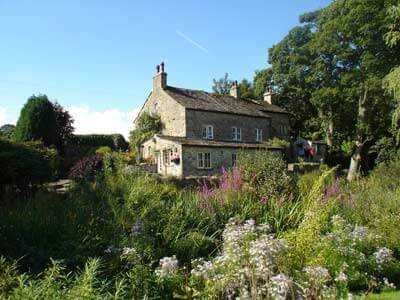 You are assured a very warm welcome at Bridge End Farm Grassington, a traditional riverside cottage in the heart of the Yorkshire Dales National Park. 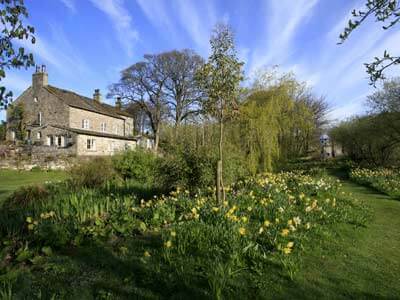 Nestling just below Grassington Bridge on the banks of the river Wharfe it offers a tranquil haven yet is only 10 minutes walk from the bustling centre of Grassington, with its wide range of shops, cafes and pubs. 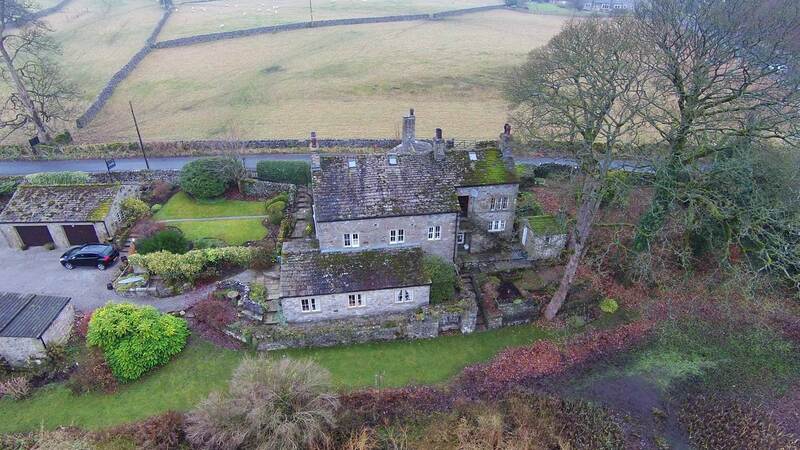 Built in the mid 1600's the house is packed full of character and charm, with exposed oak beams, window seats, inglenook fireplace and flagged floors. We have a wide variety of books and games in the sitting room where guests are welcome to play the piano and other musical instruments. Our two single bedrooms have a wealth of period features, a small en-suite and are sympathetically furnished. The Kingfisher suite has superb views over the river with its own entrance, kitchen/dining area, bedroom with super king or twin beds and bathroom with bath and shower. It can also accommodate up to two children. Relax in our large riverside garden which is a haven for wildlife, the kingfisher being a regular visitor. 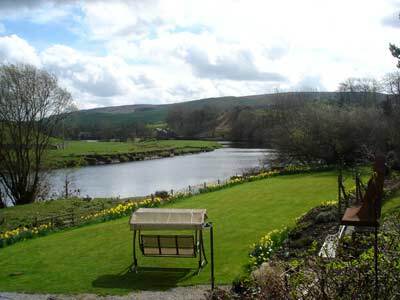 We have numerous seats and tables around the garden for you to enjoy the views and guests can enjoy private trout fishing from the riverbank. The locally sourced English breakfast will set you up for the day and is served around our large oak table where you can share the day's plans with others. Should you choose to stay with us we are confident you will enjoy the relaxed environment and we will be happy to assist you in anyway. 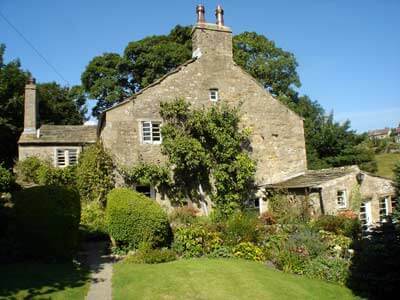 Set amidst magnificent limestone scenery Grassington has much to offer the visitor from a gentle stroll beside the river to more strenuous hill walks, or explore its quaint cobbled streets, cafes, pubs, craft fairs and exhibitions. We have an extensive selection of maps and books to help you plan your day.